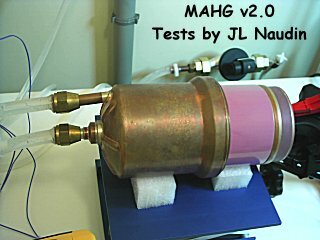 This is a new test of the MAHG setup v2.0. 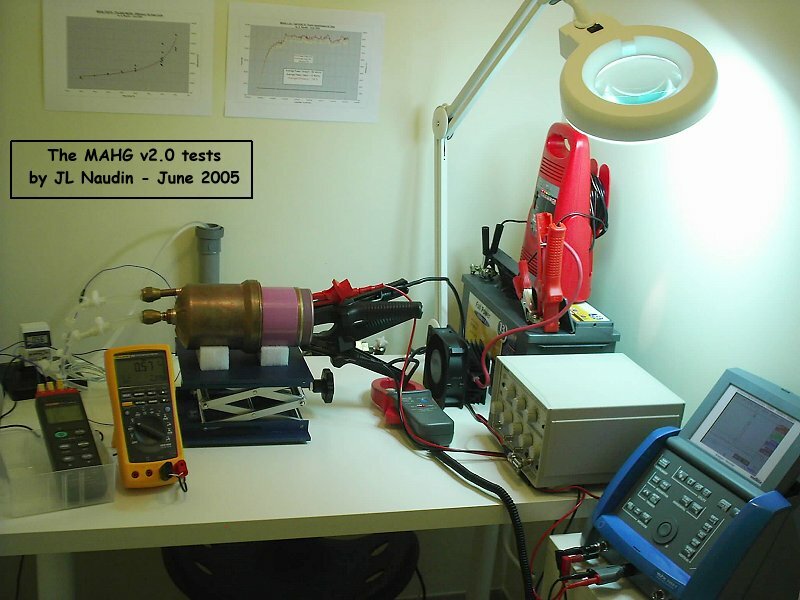 The purpose of this serie of tests is to conduct a 1 hour test with a DTC of 5% so as to confirm the high efficiency (COP>10) conducted during the previous measurements with the setup v1.0 (RUNS 59 to 61). 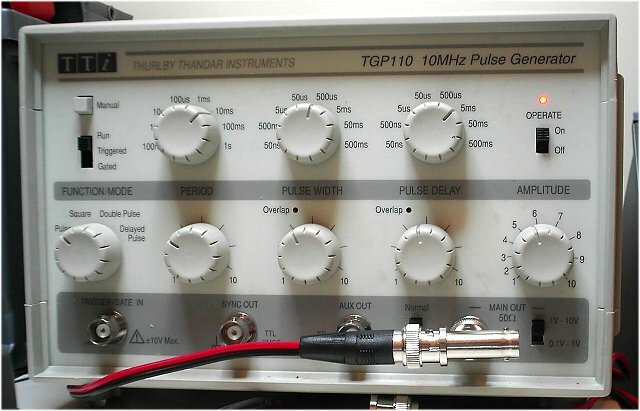 All the datas (temp In/Out and water flow) have been recorded with two different dataloggers sets at a sampling rate of 5 sec. 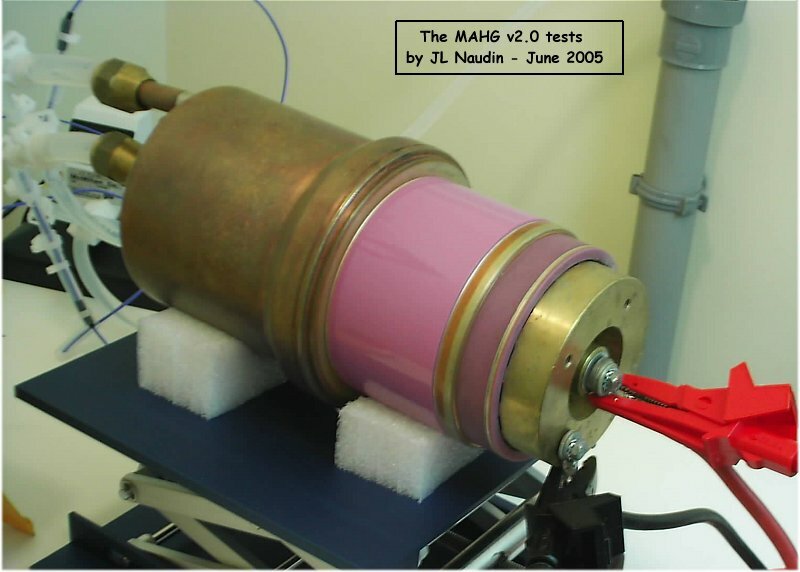 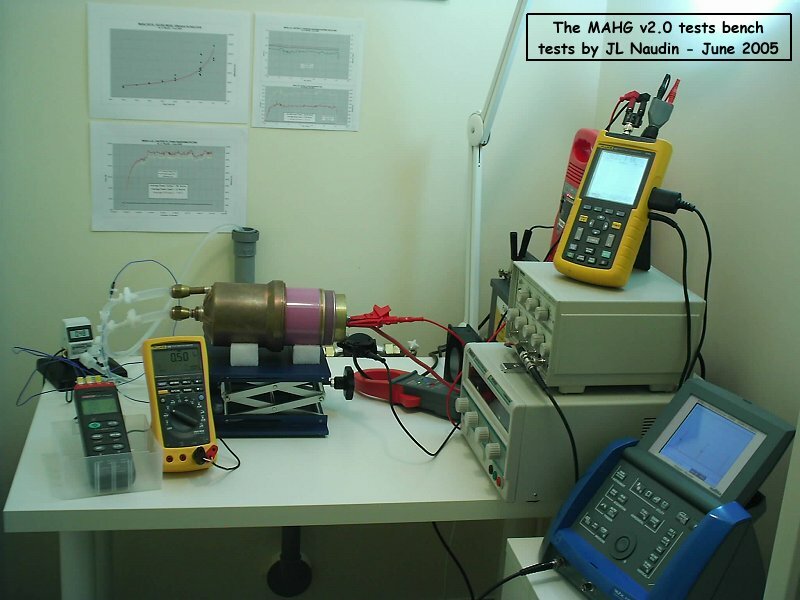 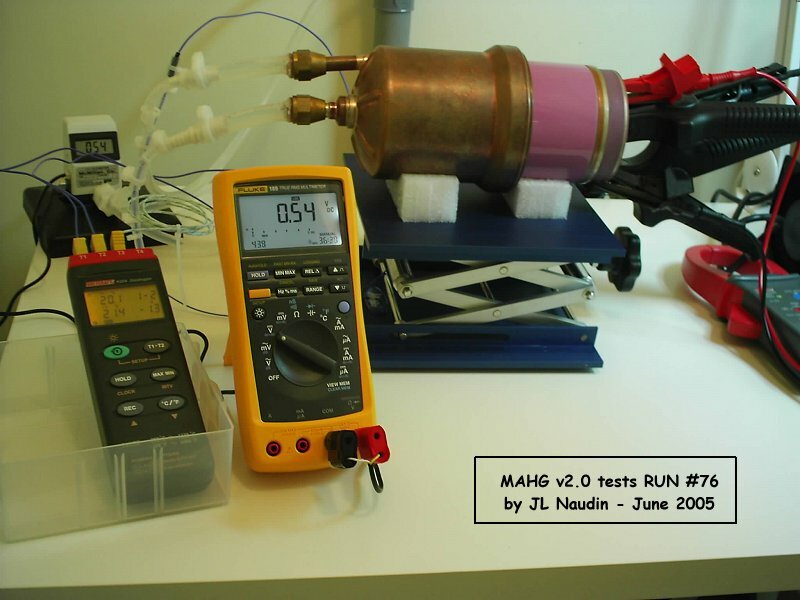 A BLANK TEST RUN has also been performed with a continuous DC current to validate the new test bench v2.0, in this setup the MAHG is used as a simple electric heater.. 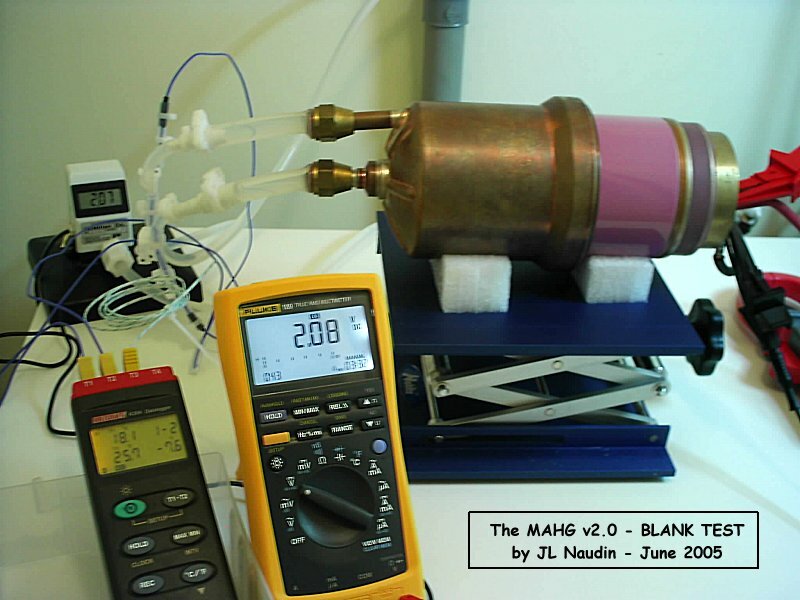 In this new setup above, the wires length have been shortened and the electrical contacts on the reactor significantly improved so as to reduce the losses. 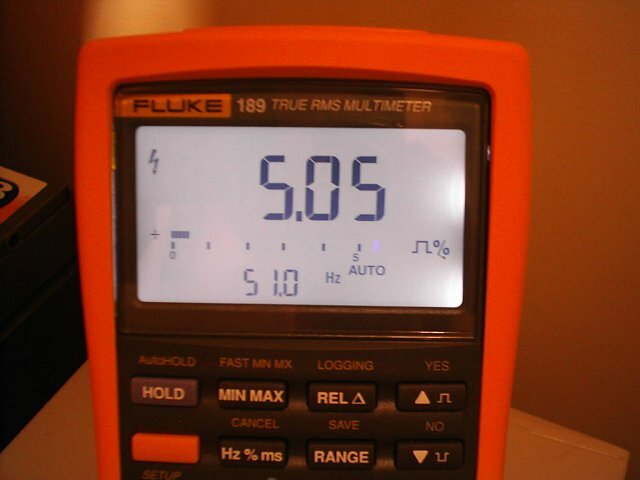 The voltage and the current have been recorded in real time with a digital oscilloscope Fluke 123 so as to get a more accurate measurement of the electrical power at the input.